What you will see are many, many gorgeous irises! And some of them have been reblooming this Fall. Reblooming is what you won’t see during the Convention. So we’re sharing these here for your inspiration. Come and see them in bloom again at the 2017 AIS Convention! 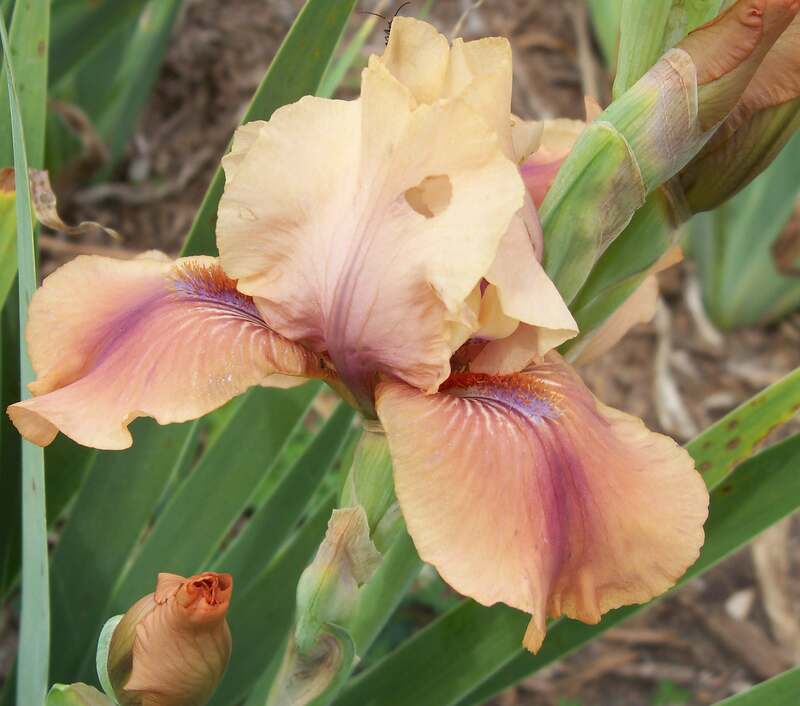 ‘Rust Never Sleeps’ is an IB by Larry Lauer (2013) that has rebloomed in at least two of the host gardens. I saw it in rebloom August 9 in one of the gardens and in another it was been in rebloom almost continuously from August 14 through September 3 followed by additional stalks and blooms into October. ‘Echo Of Spring’ TB by Nancy Price (2013) rebloomed August 17. 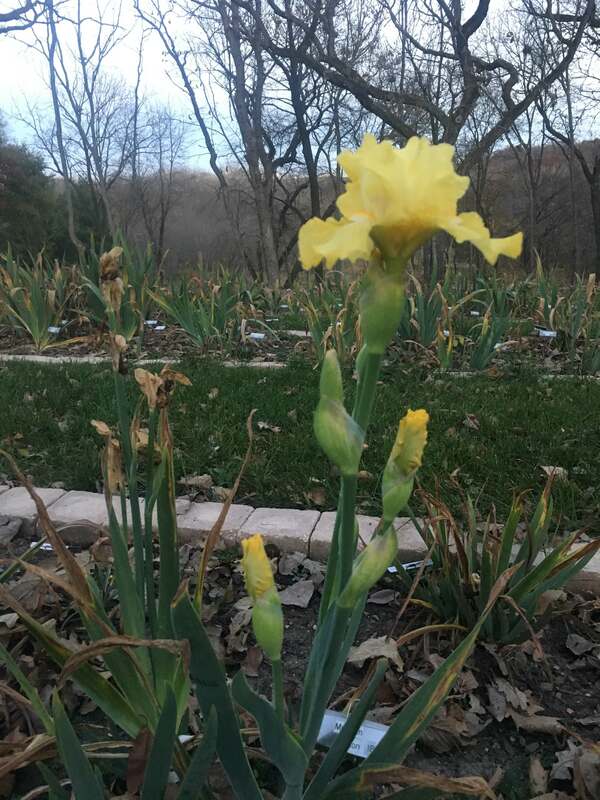 Three guest irises by Mike Lockatell have been reblooming in the host gardens. ‘Double Dare’ is a Border Bearded (2014) which rebloomed in two of the host gardens. The TB ‘Metro Blue’ (2015) was seen to rebloom in three host gardens and the TB ‘Soda Fountain Shuffle’ (2015) in two host gardens. A seedling by Linda Mann was reblooming in one of the guest gardens on October 11. Another Larry Lauer TB ‘Free Will’ (2015) rebloomed in a guest garden in October. ‘Mulligan’ is an IB by Mike Sutton (2015) which was reblooming November 4. You can expect to see these and many more during the regular bloom season next year at the Convention! Join us May 23-27, 2017 in Des Moines. Details of registration can be found here. This entry was posted in Uncategorized and tagged rebloom by wrmesser. Bookmark the permalink.